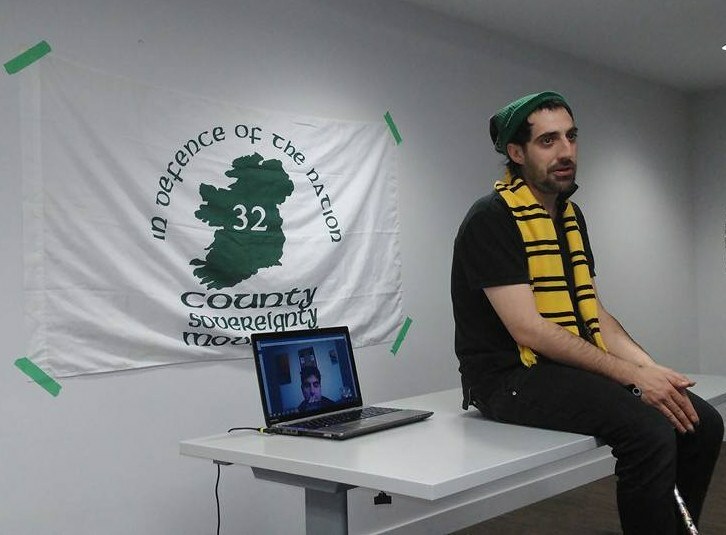 Julian campaigns for many causes including Indigenous sovereignty in north america, the rights of poor people, drug users and those with addictions, and in solidarity with international socialist undertakings, including that of the 32 county sovereignty movement in Ireland. Julian speaks on their ongoing battle with the US department of homeland security and the US treasury department, their listing of the US terror list, and the impacts on daily life of living in need of medications that you are not allowed to fundraise for on the internet and can not otherwise afford. also featured on the show is a member of the 32csm's montreal chapter. as our time with Julian wrapped up, they explained their stressful daily struggle to access necessary medication, noting that without this medication, they risk death. Julian notes that this is an act of torture and that they are being specifically targeted because of their affiliation with the political organisation the 32csm and their republican politics.